Centrica Business Solutions' new report, Distributed Energy: Powering sustainability reveals the low-carbon ambitions UK businesses and public sector organisations can achieve by committing to a sustainable energy strategy. The report looks at the carbon challenge facing UK businesses and public organisations, and reveals how new, innovative distributed energy technologies are delivering significant benefits for UK organisations, as well as helping the UK meet its international carbon reduction commitments and Climate Change Act goals. Read the full report, download our key takeaways, watch our video and learn about how Centrica Business Solutions is already helping organisations in the UK create competitive advantage with a sustainable energy action plan. The UK is already a global leader in the fight against climate change. This report focusses on the emergence of new distributed energy technologies that can help public bodies, businesses and heavy industry play their part in the UK's low carbon future. The Powering sustainability report reveals that in the Industry, Health and Hospitality & Leisure sectors alone, distributed energy solutions could deliver cumulative savings of 137MtCO₂e through to 2030; the equivalent to annual emissions of 43 million homes. Partnering with our recent report, The Energy Advantage, the Powering sustainability report highlights clear ambitions for UK organisations; not just why they need to take action, but also the steps that can be taken to build a more sustainable business. If the UK is to meet the legally-binding Carbon Budgets of a 57% cut in 1990 emission levels by 2030, and ultimately at least an 80% reduction in emissions by 2050 then a greater level of innovation will be required from industry, businesses and public sector organisations. Our estimates suggest that if by 2030, 50% of the Industrial Manufacturing sector took up a suite of decentralised energy solutions, they would achieve total emissions savings of 106MtCCO₂e; with annual savings of 7.2MtCO₂e. Or, the equivalent to 11% of the sector’s current carbon footprint. Our estimates suggest that if by 2030, 50% of the NHS took up a suite of decentralised energy solutions, they would achieve total emissions savings of 8.8MtCO₂e; with annual savings of 483TtCO₂e. Or, the equivalent to 16% of the sector’s current carbon footprint. Our estimates suggest that if by 2030, 50% of the Hospitality and Leisure sector took up a suite of decentralised energy solutions, they would achieve total emissions savings of 23MtCO₂e; with annual savings of 1.3MtCO₂e. Or, the equivalent to 14% of the sector’s current carbon footprint. The pressure to meet the carbon challenge is driving a wave of innovation in energy solutions. 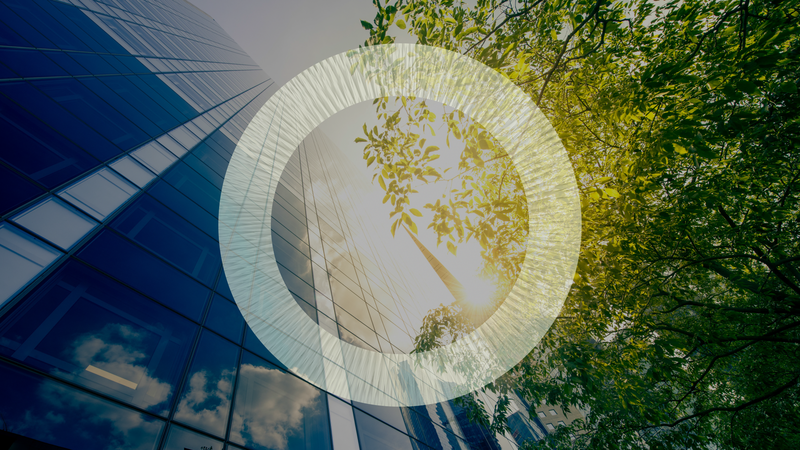 New opportunities exist for UK businesses and public organisations to create competitive advantage, while importantly helping the UK achieve its carbon targets, and avoid the most harmful impacts of climate change. The pressure to meet the carbon challenge is driving a wave of innovation which is creating new opportunities for UK businesses and public organisations. New technologies offer a clear pathway for businesses to significantly reduce their carbon emissions. Adopting distributed energy solutions mean businesses can not only help the planet, but they can also give themselves a competitive advantage, boosting their brand reputation, increasing efficiency, upgrading their energy resilience and reducing costs. Solutions such as advanced Energy Insights, Battery Storage, Demand Side Response, Combined Heat & Power (CHP), Solar PVs, and Energy Efficiency solutions such as LED Lighting all add up to lower emissions and lower costs for businesses. The energy landscape is changing and this is creating opportunities for how businesses use and manage energy. We wanted to understand the experience businesses are having, how they are adapting to the changing energy market and how this compares to their peers. We researched over 1,000 energy decision-makers in large organisations across six countries and The Energy Advantage Report is the outcome. Learn how being an energy leader can help your organisation deliver on its sustainability goals.